Does going to a class and writing things considered important in a notebook ring a bell with you? It actually reminds me of how our students still keep making use of paper to keep a record of what they learn – especially vocabulary – while having the opportunity to fall back on their cellphones. 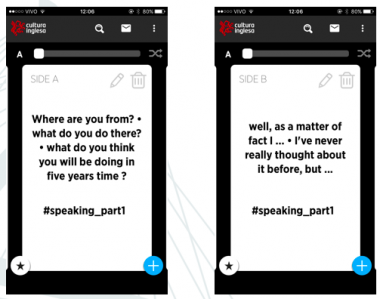 With this is mind, how can we better help students develop lexis systematically using their mobiles with a free digital tool? 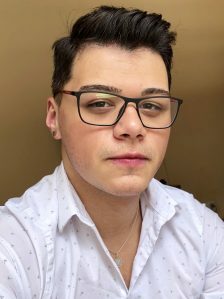 Before answering this question, I would like to go back to where it all started – my action research, writes guest blogger, Rafael Webster. 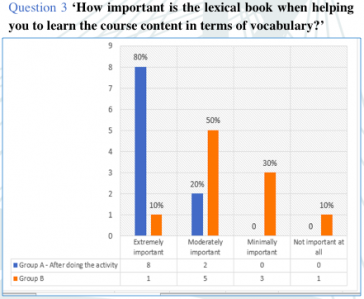 Having students try to achieve a CEFR B2 level in English, I wanted to encourage them to keep a clear record of the lexical items they had been exposed to in class – including the perception that the more students engage with words, the more likely the word will be remembered (Schmitt 2000: 120). However, tackling this challenge posed does not seem something easy to do, right? Especially when students don’t see how mobile tech can be of much help. Although most of my students believe technology gives them a leg up to learn content and vocabulary [questions 1 and 3], they still fail to notice HOW their learning can be done out of a traditional way [questions 2 and 4]. 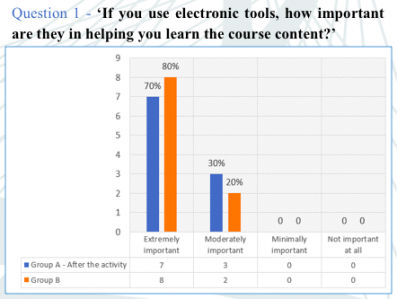 This can be seen through a survey I carried out with my students aforementioned above about their perception of learning through technology. On this basis, I made use of an app which helped me throughout this journey with my students. 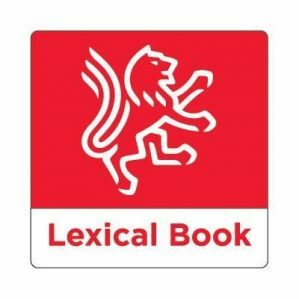 I made use of The Lexical Book provided by the school I work for, which is a mobile app designed primarily to enhance students’ vocabulary learning by building their personal dictionary. 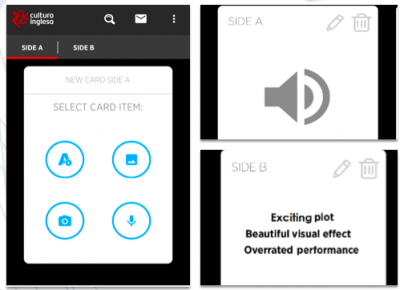 Examples would include the creation of cards on the app with voice recording, images, and text. However, in my opinion, we have to blame us teachers for believing that our learners will lend themselves to effectively using a certain tool just because we presented it in the classroom. Considering that, I take Vygotsky’s (1978) word for saying that we have to be mediators in the learning process, and this was what I did. I designed one activity with the aid of the app aiming at boosting student’s vocabulary that was key to change their perception of learning with mobile technology. This activity has to be done in 2 phases which I call preparation and execution. Preparation 1 – create questions related to a topic already presented in class – 3 questions will be fine. Preparation 2 – Now, use the app! On the card’s side A there will be recording of their voice with the questions you created for them. So, there will be 3 cards with 3 questions. On the card’s side B there will be as many pieces of vocabulary learned in class as you want to answer the questions recorded on side A. Execution 1 – Outside classroom time, students listen to the questions and try to answer it without looking at the vocabulary chosen. In case they notice the lexis are not being used, they turn the card and check possible vocabulary to use. Questions should be answered repeatedly as having many encounters with the words is the key to make students retrieve vocabulary easily, according to Richards (2015). Execution 2 – After doing the activity for one month, provide students with the opportunity to answer those questions again in classroom time, both in a written and spoken form, so that you can show them improvements compared to the preparation 1 phase. Reading students’ first answers from the preparation 1 phase, I noticed that simple adjectives were used to describe places such as ‘famous, wonderful, different, beautiful, amazed, interesting, excellent, surprised’ although they had been having lessons for a quite long time and been exposed to different lexis to talk about that topic. After having students work with their cards for one month outside the classroom, it was noticeable their improvement in using less frequent words both in written [image below] and spoken as I provided students with speaking activities in class. Examples of lexis would include ‘high-rise, up-and-coming areas, affluent, shocking, trendy, run-down’ and many others. In addition to noticing learners’ improvement in their vocabulary, their perception of mobile language learning changed greatly as it has doubled from 40% to 80% [question 1 and 3] of the students finding the use of the app extremely important when learning vocabulary. 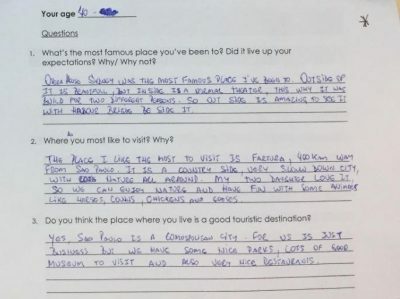 Additionally, students started using the app regularly as they report having a pleasant experience [question 2 and 4]. 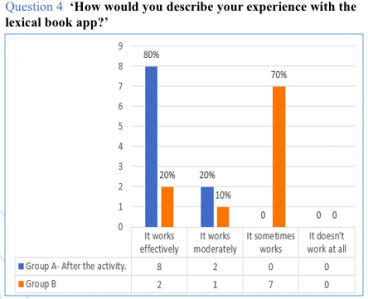 In contrast, another B2 level learners [group B], which did not do the activities with the aid of the app but had the same lessons and could use the app the way they wanted, described their experience negatively by believing the app does not help them to learn lexis, although they see some importance to use mobile to develop language. There are other practical activities that teachers can implement to be carried out with the aid of the app to enhance the vocabulary learning experience both inside and outside classroom. Side B: add specific words, phrasal verbs, expressions, and many others used in that situation. In my case, I used ones to talk about feelings and dates. Execution – Learners look at the images or the sentence “I can talk about..” and start talking about it. They just look at side B in case they can’t remember the lexical items. Activity 2 – Preparation for oral international exams. Side A: choose common question from international exams. In my example I selected 3 from CPE Cambridge Speaking part 1. Side B: students add buy-time expression to answer those questions. However, you can add any other chunks that might help you in this part. Execution – Learners answer the questions from the exam by trying to use buy time expressions. In case they do not remember, they turn the card to see the chunks chosen. Side A – students create a question or a situation using idioms. Side B – students add different idioms. Execution – Students read the questions or the situations. Then, they turn the card and try to answer or add more information to it by using the idioms on side B. In short, what I first aimed at in the beginning of the research, I can surely say it was achieved. I expected this classroom research project not only to change participants’ perception when learning through technology but also provide different ideas for teachers who want to use technology in class and encourage their students to make the most of a free digital tool to boost students’ vocabulary and speaking. But, REMEMBER: for all that to happen, we as teachers have to be part of the learning process. Richards, J. C. (2015). Key issues in Language teaching. Cambridge: CUP. Rafael Webster is an English teacher at Cultura Inglesa, Sao Paulo, Brazil. He is a Translation and Interpretation graduate, holds a Cambridge CELTA certificate, is pursuing his master’s degree at PUC-SP. His academic interests are corpus linguistics, technology for Pedagogical Purposes and teacher development.​ He presented on this topic at the IATEFL conference in Brighton, 2018 and recently won the CPD travel grant to be in Liverpool on 1 April for the IATEFL LTSIG PCE.